Keep your favorite beverage ready to drink and safely carry your day-to-day essentials with the Can Holder Combo – Baseball. Boost your brand image by imprinting your business logo on the holder and bag. 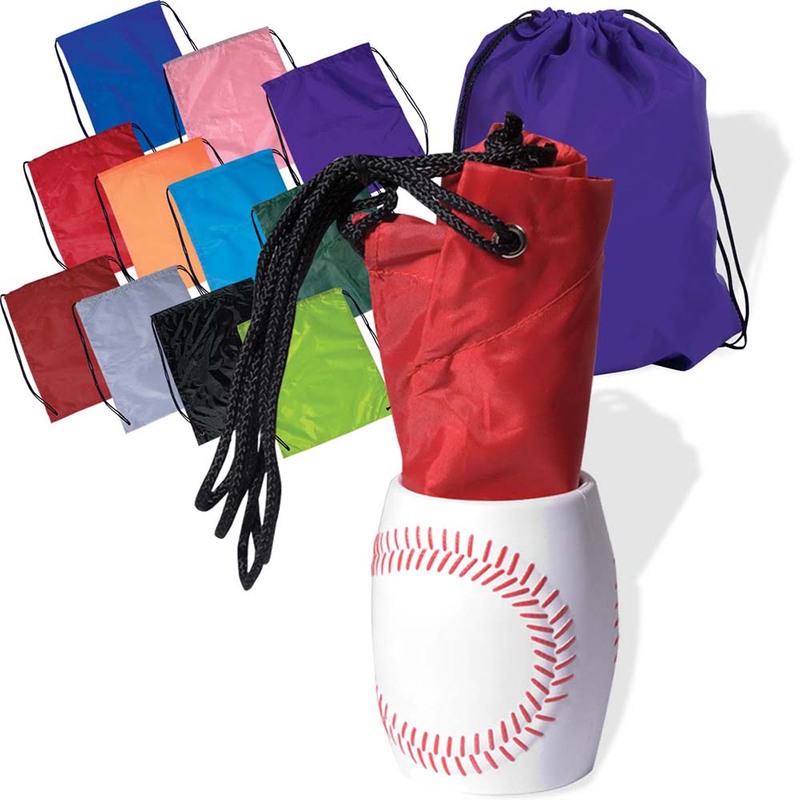 Keep your favorite beverage ready to drink and safely carry your day-to-day essentials with the Can Holder Combo – Baseball. Boost your brand image by imprinting your business logo on the holder and bag. This set combines the String-a-Sling Backpack with the Baseball Can Holder. The can holder is made of strong and flexible polyurethane and has a textured grip. It holds a standard 12 oz. can. The bag is made of 210d polyester with string shoulder straps. The strings pull on the top to quickly close the bag. Price includes a 1-color/1-position imprint on each item of the combo. This combo serves as an ideal gift for baseball fans in your office. Showcase the baseball can holder and backpack combo at company sport events and other competitions to build brand awareness.